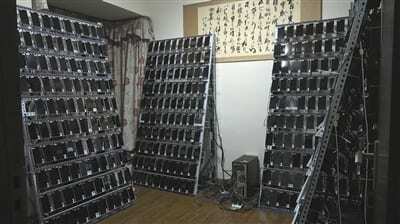 What is a Phone Farm? A phone farm is a setup wherein criminals repeat actions – such as ad views, clicks, registrations, installs and engagement – to create the illusion of legitimate activity, draining advertising budgets. Phone farms (also called device farms and click farms) maintained for the purposes of ad fraud are illegal in much of the world. As mobile advertising budgets have grown, phone farms dedicated to mobile fraud have grown increasingly common. Though phone farmers taking advantage of incentivized advertising have grown increasingly bold, often sharing their activity in public, more advanced phone farmers have found lucrative opportunities in the mobile app install market. Advanced phone farmers use a variety of tactics to hide their activity, including hiding behind fresh IP addresses, using a broad variety of devices, while either enabling Limit Ad Tracking or hiding behind DeviceID Reset Fraud (resetting their DeviceIDs with each install). When perpetrated at scale, this fraud is also known as DeviceID Reset Marathons. Though device farms are often portrayed as a fraud-type that is based in Asia, our research has found device farms operating across the world, and advertisers around the world are impacted by this fraud. The only real-time protection against install fraud from phone farms currently available on the market is DeviceRank.